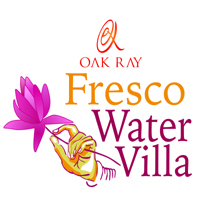 Fresco Water Villa is located just 10 minutes away from the historically acclaimed Sigiriya lion rock. History has it that King Kasyappa picked Sigiriya as his capital to build an archaeological wonder of a sky palace, as a fortress to keep him safe from invasion. Today it stands as a testament to Sri Lankan art and architecture. Our Villa, complete with Superior Deluxe Rooms and all modern facilities, is a convenient launching pad to begin turning the pages of rich Lankan history.